Camelbak backpacks are ideal for a variety of outdoor activities such as camping, hiking, road biking, mountain biking, backpacking, running, climbing, and snow sports. They combine reasonable storage space with a built in water reservoir. They are ultra-lightweight and also comfortable to carry. Although there is not a single backpack that is ideal for all outdoor activities, we can prioritize the various types based on your activity. The Camelbak backpack with hydration bladders enables hikers to drink even when riding a mountain bike. Unlike water bottles, you don’t have to slow down or stop to take a sip. 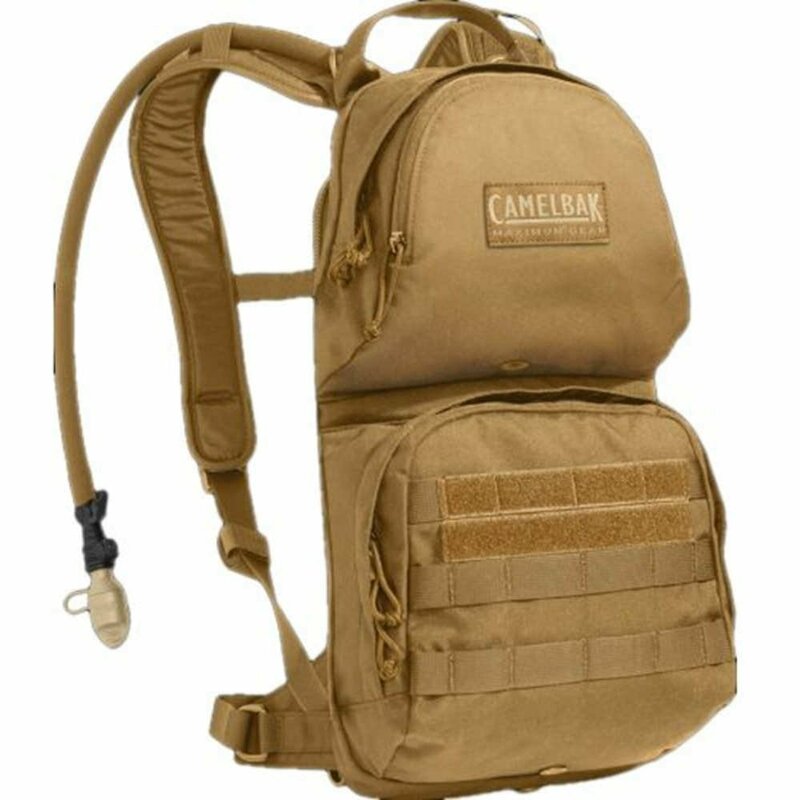 The following are some of the best Camelbak backpack with built in hydration bladders. 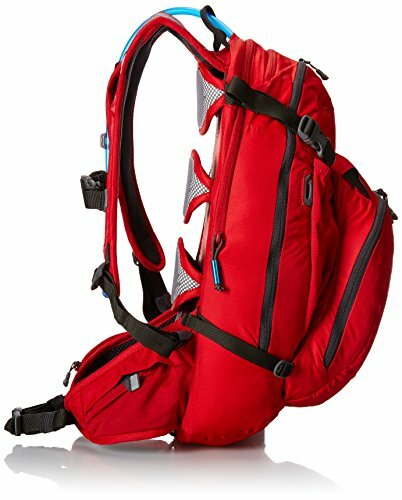 This is a marvelous Camelbak backpack with a hydration capacity of 100 ounces. It has a shoulder harness, nylon webbing, 10 mm EVA foam shoulder harness, and 55 mm closed cell foam. The back side of the shoulder harness is made of 420D high-density nylon. It has strong front panel gussets made of 500D Cordura fabric. The Camelbak HAWG has a total capacity of 1,403 cubic inches and weighs about 2.75 pounds. The Camelbak HAWG is the best backpack for camping and hiking activities. It is available in three colors. 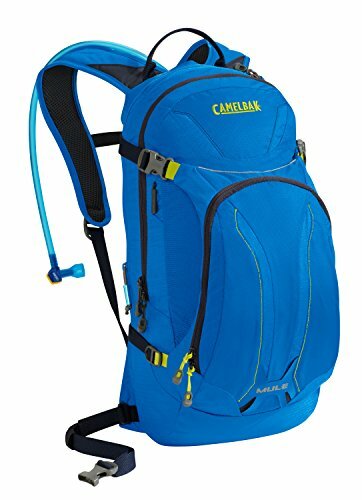 This is a spectacular Camelbak backpack with a 100-ounce Omega Water Beast Reservoir with a perfect HydroLink Exit Port. It has a cargo volume of 488.2 cubic inches. The M.U.L.E. Hydration Pack has an easy-to-fill and clean wide-mouth Omega opening. It is fitted with a leak-proof screw-cap, insulated Pure-Flow tube, patented Big Bite Valve, and HydroLock one-handed flow control. It is available in five colors. The dimensions of the pack are 13 x 1 x10 inches, and it has a total volume of 671.2 cubic inches. Water Beast Reservoir with a perfect HydroLink Exit Port. Rugged and durable Water Beast Material. This Camelbak hydration pack can be used for a range of hiking adventures. It is also suitable for multi-sport activities and hunting. It is efficient for carrying water and gear. 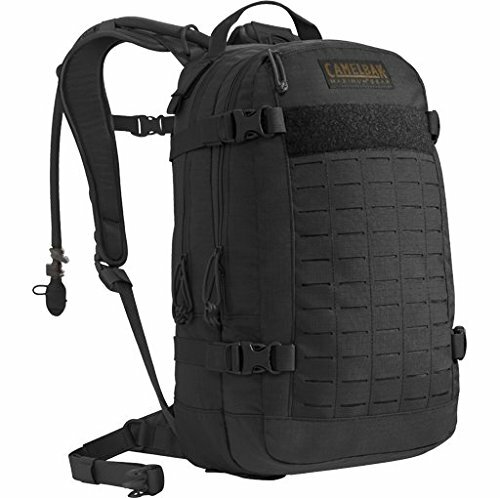 This Camelbak backpack has XV back panels for ventilation. It has an Antidote reservoir with Quick Link system. It contains an air-light fill port with a large opening making it quick and easy to fill and clean the reservoir. With the simple, intuitive 1/4 turn cap, opening and closing the reservoir is simple and secure. This Camelbak backpack features easy access to a MP3 pocket with weather resistant zipper and quick access overflow storage with dual compression straps. Its capacity is 671 cubic inches and weighs approximately 1.4 pounds. Quick access overflow storage with dual compression straps. If you’re looking for a narrow-gauge pack for three hours or more of mountain biking, this Camelbak model will serve you well. 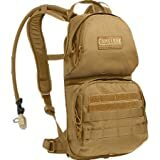 Its lightweight back panels keep air flowing over your back regardless of whether the pack is fully loaded. It has a unique organizer pocket for biking essentials and independent suspension shoulder harness. It is ideal for mountain biking. 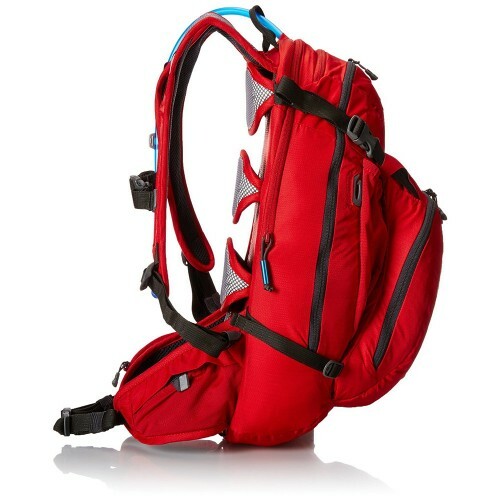 This quality Camelbak backpack is the most splendid model, and is Camelbak’s bestselling pack. This M.U.L.E. pack features three interior slip pockets, and three exterior pockets with a narrow-gauge design that makes it light and maneuverable even when fully loaded. It is available in five colors. It is fitted with air channels to keep the rider’s back cool and has compartments for storing items such as electronics, keys, and for stashing tools. It is ideal for hiking, camping, mountain biking, and general adventure. This is a spectacular hydration pack with a built-in rain cover. It has a total capacity of 732 cubic inches plus a 3-liter reservoir. It has a hydration capacity of 100 ounces. The total weight of the pack and reservoir is about 2.3 pounds. It has a D-fit suspension and slider sternum strap harness. It is made of 70D diamond Clarus fabric and 420 nylon with DWR plus 1000 mm PU. It has a torso length of 15.5 inches. The backpack measures 17.7 x 8 x 9.5 inches and weighs approximately 2.4 pounds. If you’re looking for the best hydration camelback with a fully ventilated back panel that’s geared for epic escapes, this Camelbak is the best choice. Its NV back panel provides superb venting and convenient access to the Antidote with Quick Link reservoir. It has secure storage for tubes, energy bars, bike pump, and tools. It is fitted with a unique D-fit suspension shoulder harness and MP3 pocket with weather-resistant zipper. It is ideal for biking, hiking, and camping. While there is not one bag to cover all outdoor activities, Camelbak makes some great packs to choose from depending on your favorite activity. Whether you want to climb Kilimanjaro or go off mountain biking. The Camelbak M.U.L.E. Hydration Backpack for example is light and suitable for biking and running. 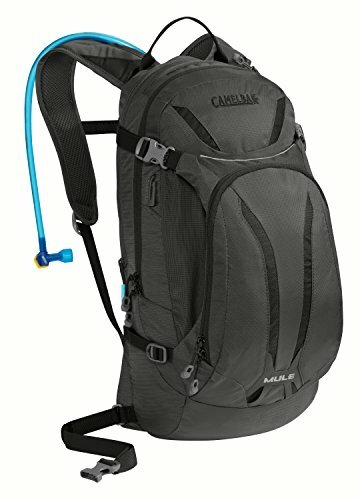 If you’re looking for a hydration pack that is best for camping or biking, the Camelbak M.U.L.E. NV Hydration Backpack is the best choice. It is made of strong, high-quality fabric. If you like to go hiking or camping for several days, consider purchasing the Camelbak HAWG 100-Ounce Mil Spec Hydration Pack. It is voluminous and can carry a variety of items. If you will be out for a day-long adventure, you want Camelbak’s bestselling pack, the M.U.L.E. Hydration Pack. It’s lightweight but voluminous enough to carry a day’s worth of packed food, three liters of water, and gear. It is one of the best hydration packs for mountain biking. Camelbak – M.U.L.E. Hydration Pack – 100 ounces is the most suitable hydration pack for multi-sport activities including biking, hiking, and hunting. It is light and well made, but it shouldn’t be overloaded with bulky items.